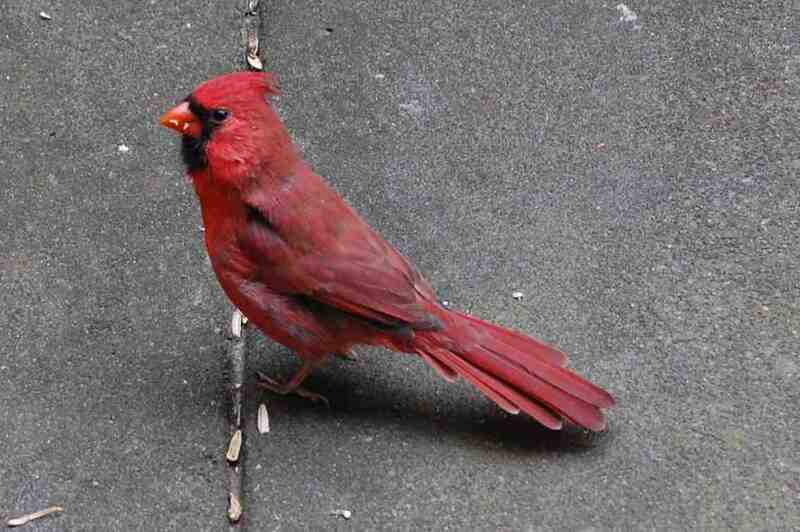 Cardinals are happy to help with that. I cut a dried-up looking pomegranate into bits yesterday -- it was still juicy inside -- and put them on my porch. 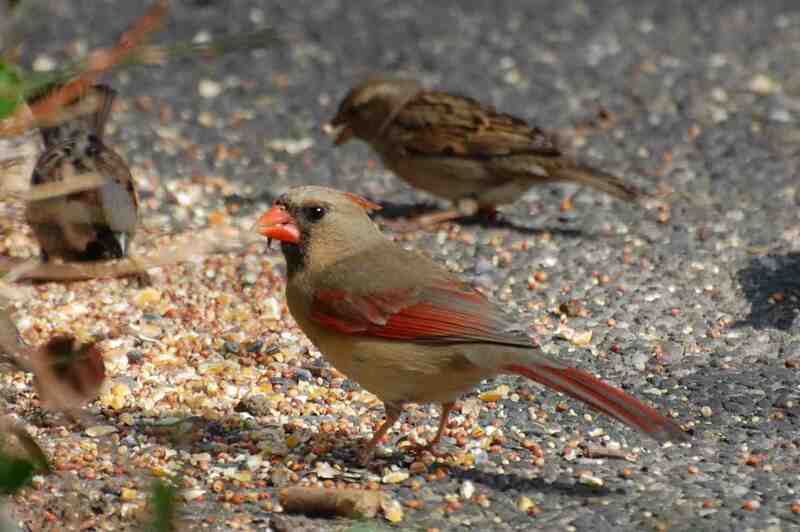 A male (above) and female northern cardinal (below) have been visiting ever since. They eat seeds and fruit, so pomegranate pips must seem like the perfect food -- a seed wrapped in a bit of juicy red fruit! Love that. Beautiful pictures. I'm going to try this and leave as an offering. Nice site! 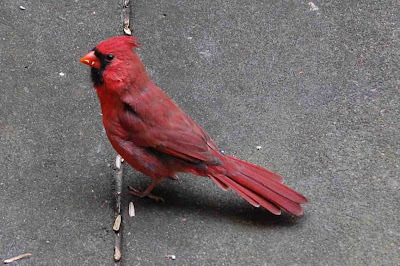 I think that bird is in the angry bird game/ Am I right. I saw this while I am trekking in Africa. That will be amazing.